By accessing or otherwise using this website ("website"), you agree to be bound by these terms and conditions of use. “We” or “Our” refers to Health Labs LLC (“Health Labs Nutra”). The following ("Contract Terms") are terms of a legal agreement between you and Health Labs Nutra ("Health Labs Nutra"). By accessing, browsing and/or using this site ("Site"), you acknowledge that you have read, understood, and agree, to be bound by these terms and to comply with all applicable laws and regulations. The material provided on this Site is protected by law, including, but not limited to, United States Copyright Law and international treaties. This Site is controlled and operated by Health Labs Nutra from its offices within the United States. Health Labs Nutra makes no representation that materials in the Site are appropriate or available for use in other locations, and access to them from territories where their contents are illegal is prohibited. Those who choose to access this Site from other locations do so on their own initiative and are responsible for compliance with applicable local laws. Disclaimer: Nothing in this website is intended as, or should be construed as, medical advice. Consumers should consult with their own health care practitioners for individual, medical recommendations. The information in this website concerns dietary supplements, over-the-counter products that are not drugs. Our dietary supplement products are not intended for use as a means to cure, treat, prevent, diagnose, or mitigate any disease or other medical or abnormal condition. The claims made about specific nutrients or products have not been evaluated by the Food and Drug Administration. Dietary supplements are not intended to diagnose, treat, cure or prevent disease. Health Labs Nutra makes no guarantee or warranty, express or implied, with respect to any products or services sold, including any warranty of merchantability or fitness for a particular purpose. The information is compiled from a variety of sources ("Information Providers"). Neither Health Labs Nutra, nor any Information Provider shall be responsible for information provided herein under any theory of liability or indemnity. Liability of Health Labs Nutra or Information Providers, if any, for damages (including, without limitation, liability arising out of contract, negligence, strict liability, tort or patent or copyright infringement) shall not exceed the fees paid by the user for the particular service provided. In no event shall Health Labs Nutra or any Information Provider be liable for any damages other than the amount referred to above, and all other damages, direct or indirect, special, incidental, consequential or punitive, are hereby excluded even if Health Labs Nutra or Information Provider has been advised of the possibility of such damages. Information accessed through this online site is provided "AS IS" and without warranty, express or implied. All implied warranties of merchantability and fitness for a particular use or purpose are hereby excluded. Health Labs Nutra and Information Providers make no warranty as to the reliability, accuracy, timeliness, usefulness or completeness of the information. Health Labs Nutra and Information Providers cannot and do not warrant against human and machine errors, omissions, delays, interruptions or losses, including loss of data. Health Labs Nutra is not responsible for updating information contained here, which may be rendered obsolete based upon subsequent medical developments. PLEASE READ THIS AGREEMENT CAREFULLY BEFORE ACCESSING OR USING THIS SITE. YOU AGREE TO BE BOUND BY THE TERMS AND CONDITIONS SET FORTH BELOW AND THE DISCLAIMER AND CONTRACT TERMS SET FORTH ABOVE. IF YOU ARE NOT WILLING TO BE BOUND BY THESE TERMS AND CONDITIONS AND DISCLAIMER, YOU MAY NOT ACCESS OR USE THE SERVICE. Health Labs Nutra MAY MODIFY THIS AGREEMENT AT ANY TIME, AND SUCH MODIFICATIONS SHALL BE EFFECTIVE IMMEDIATELY UPON EITHER POSTING OF THE MODIFIED AGREEMENT OR NOTIFYING YOU. YOU AGREE TO REVIEW THE AGREEMENT PERIODICALLY TO BE AWARE OF SUCH MODIFICATIONS AND YOUR CONTINUED ACCESS OR USE OF THE SERVICES SHALL BE DEEMED YOUR CONCLUSIVE ACCEPTANCE OF THE MODIFIED AGREEMENT. The following activities are also expressly prohibited without our prior written permission: any non-personal or commercial use; use of any robot, spider, other automatic device, or manual process to monitor or copy the website or any of its content; "mirroring" the website or any content on any other server; collection or use of product listings, descriptions, or prices for a supplier of competitive or comparable products; and any action that imposes an unreasonable or disproportionately large load on the website or otherwise interferes with its functioning. We have made every effort to present the content on the website accurately, but additions, deletions and changes may occur. Content on the website is provided "as is"; neither our representatives nor we make any representation or warranty with respect to the content. Health Labs Nutra and its representatives specifically disclaim, to the fullest extent permitted by law, any and all warranties, express or implied, relating to the website or its content, including but not limited to, implied warranties of merchantability, completeness, timeliness, correctness, non-infringement, or fitness for any particular purpose. Under no circumstances will Health Labs Nutra or its affiliates have any liability with respect to any claims or damages (whether direct or indirect, special, incidental, consequential or punitive) as a result of your access or use of (or inability to access or use) this website or its content, even if they have been advised of the possibility of such damages. You access and use this website at your own risk. We grant you a limited, revocable, and nonexclusive right to create a hyperlink to the home page of the website so long as the link does not portray Health Labs Nutra or its products or services in a false, misleading, derogatory, or offensive matter. You may not use our logos, trademarks, or other proprietary graphics in the link without our prior written permission. The material provided on this website is protected by law, including, but not limited to, United States copyright law and international treaties. The copyright in the content of the website is owned by Health Labs Nutra or other parties that have provided it permission for use. Except for the limited rights granted above, all other rights are reserved. This website originates in and is controlled and operated by Health Labs Nutra from its offices within the United States. This website may not be appropriate or available for use elsewhere, and access to the website from locations where its contents are illegal is not authorized. If you access this website from outside the United States, you do so at your own risk. The copyright in all material provided on this Site is held by Health Labs Nutra or by the original creator of the material. Except as stated herein, none of the material may be copied, reproduced, distributed, republished, downloaded, displayed, posted or transmitted in any form or by any means, including, but not limited to, electronic, mechanical, photocopying, recording, or otherwise, without the prior written permission of Health Labs Nutra or the copyright owner. Permission is granted to display, copy, distribute and download the materials on this Site for personal, non-commercial use only, provided you do not modify the materials and that you retain all copyright and other proprietary notices contained in the materials. This permission terminates automatically if you breach any of these terms or conditions. Upon termination, you must immediately destroy any downloaded and printed materials. You also may not, without Health Labs Nutra's permission, "mirror" any material contained on this Site on any other server. Any unauthorized use of any material contained on this Site may violate copyright laws, trademark laws, the laws of privacy and publicity, and communications regulations and statutes. You agree to grant to Health Labs Nutra a non-exclusive, worldwide, royalty-free, perpetual license, with the right to sublicense, to reproduce, distribute, transmit, create derivative works of, publicly display and publicly perform any materials and other information (including, without limitation, ideas contained therein for new or improved products or services) you submit to public areas of the Service (such as bulletin boards, forums and chat rooms) by all means and in any media now known or hereafter developed. 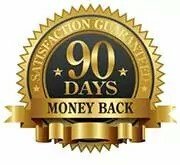 You agree that you shall have no recourse against Health Labs Nutra for any alleged or actual infringement or misappropriation of any proprietary right in your communication to us. Health Labs Nutra is not responsible for the comments and postings therein and reserves the right to monitor, prohibit, restrict, block, suspend, terminate, delete, or discontinue your access to any Social Media Site, at any time, without notice and for any reason and in its sole discretion. You agree to indemnify, defend and hold harmless Health Labs Nutra, its officers, directors, employees, agents, licensors, suppliers and Licensors (collectively the "Service Providers") from and against all losses, expenses, damages and costs, including reasonable attorneys’ fees, resulting from any violation of this Agreement or any activity related to your account (including negligent or wrongful conduct) by you or any other person accessing the Service using your Service account. Health Labs Nutra may change these terms and conditions of use at any time without prior notice. If you access or use the website after we post a change, you accept that change. If you do not accept the change, do not access or use the website. You should check these terms and conditions of use periodically. This Agreement shall be governed by and construed in accordance with the laws of the State of Florida. You agree that any legal action or proceeding between Health Labs Nutra and you for any purpose concerning this Agreement or the parties’ obligations hereunder shall be brought exclusively in a court of competent jurisdiction sitting in Pinellas County, Florida. You hereby waive your right to a jury trial in any action with respect to the subject matter of this Agreement. Any cause of action or claim you may have with respect to the Service must be commenced within one (1) year after the claim or cause of action arises. Health Labs Nutra’s failure to insist upon or enforce strict performance of any provision of this Agreement shall not be construed as a waiver of any provision or right. Neither the course of conduct between the parties nor trade practice shall act to modify any provision of this Agreement. Health Labs Nutra may assign its rights and duties under this Agreement to any party at any time without notice to you.